So I must confess…I’m not an overwhelmingly huge fan of quinoa. I have successfully avoided eating it for a long time. But now that I can no longer fulfill my protein requirements with dairy, tree nuts, or soy, I have been forced to re-evaluate its role in my diet. I have been on the prowl for recipes where quinoa sort of acts as a backdrop for the recipe, rather than playing a starring role. 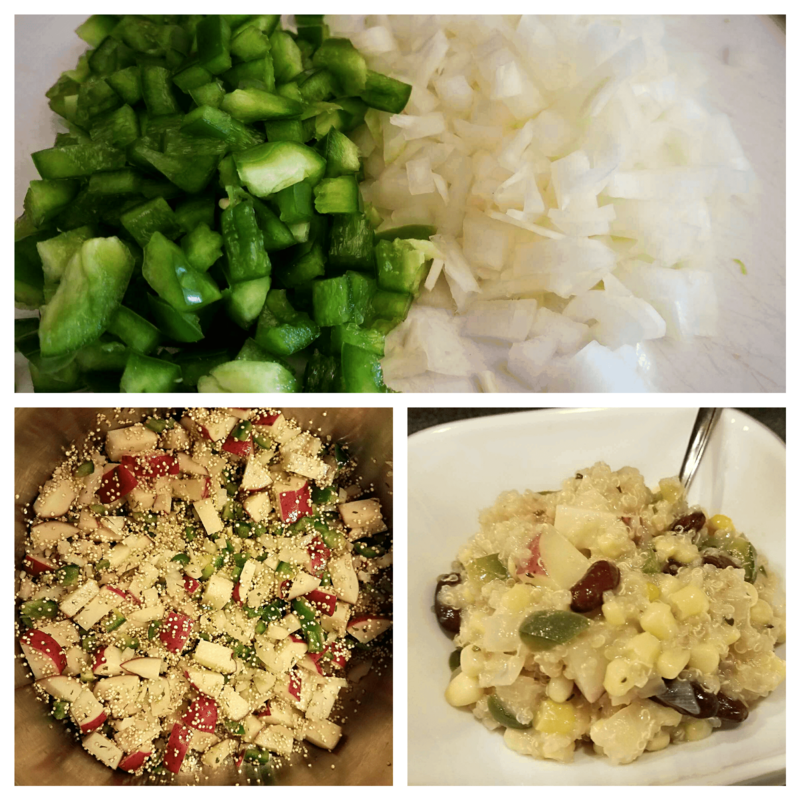 And I hate to admit it, but this quinoa corn chowder recipe by Ashley at The Recipe Rebel was actually very good! It’s very filling, and super healthy, and provides a lot of protein and fiber. 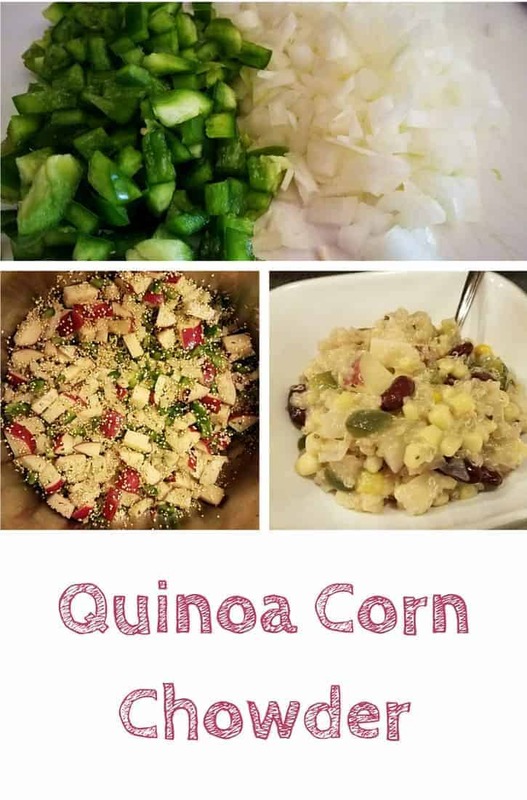 If you are on the fence about quinoa or are intimidated by what dishes to use it in, definitely give this recipe a try! This quinoa corn chowder is a one pot meal, and makes a ton of food. Because of the beans and the quinoa, it's also filling as well! In a large pot, add olive oil and toast quinoa over medium heat for 2-3 minutes. Add the onion, pepper, and potatoes to the pot, and saute over medium-high heat for 3-5 minutes, or until soft. Add garlic, parsley, thyme, salt, pepper, and cook for an additional minute. Stir in the flour until combined. Starting with the chicken broth, pour in 1 cup at a time and mix thoroughly. After adding in each cup of liquid and stirring, you should see the mixture thicken slightly. Do the same for the milk. Bring mixture to a simmer, stirring frequently. Cook uncovered for 15-20 minutes, or until quinoa is cooked, stirring every few minutes or so. Add beans and corn, cook until heated through. Credit: Recipe lightly adapted from Ashley at The Recipe Rebel. I’ve also avoided eating quinoa, something about the texture of it that I don’t like. However, this looks really good! Maybe I’ll sprinkle some quinoa in there little by little to get accustomed to it. I still have to try Quinoa. I have heard a lot of good stuff about it. I’m the one who never tries new things when it comes to food. But this sounds absolutely inviting. Delicious recipe! Very hearty and filling. I found that it’s easy to veganize: just replace the chicken broth with vegetable broth and milk with unsweetened cashew or soy milk. Highly recommend it! I have yet to try Quinoa. It looks delicious. I’m willing to try most things at least once.